You are now able to do much more within the Check-In app. Your staff can easily capture a profile photo of a student when taking attendance from within the Check-In interface. Simply click on the thumbnail of any contact to launch image capture options or upload a photo, allowing you to immediately put a face to the name. An alert will appear if a camera is not connected. We've made UI and functionality changes too - you can now process overdue invoices right through the Check-In app, minimizing outstanding payments owed to your school. Note: these features are not available for self-check-in. Alerts will now appear when PmScan is minimized. This allows you and your staff to work uninterrupted, without missing important alerts when PmScan is minimized. Are you always out of gloves because your students forget to bring them to kickboxing class? If equipment (or anything else) is required for a class or activity, you can now create alerts when someone enrolls into a course. You can have a maximum of 6 alerts at a time for courses, single bookings and appointments. The alerts can also be configured for multiple locations. Whether you are reminding your students to bring equipment for a class or sending class prep instructions, “Sorry, I forgot” won’t be an excuse anymore. 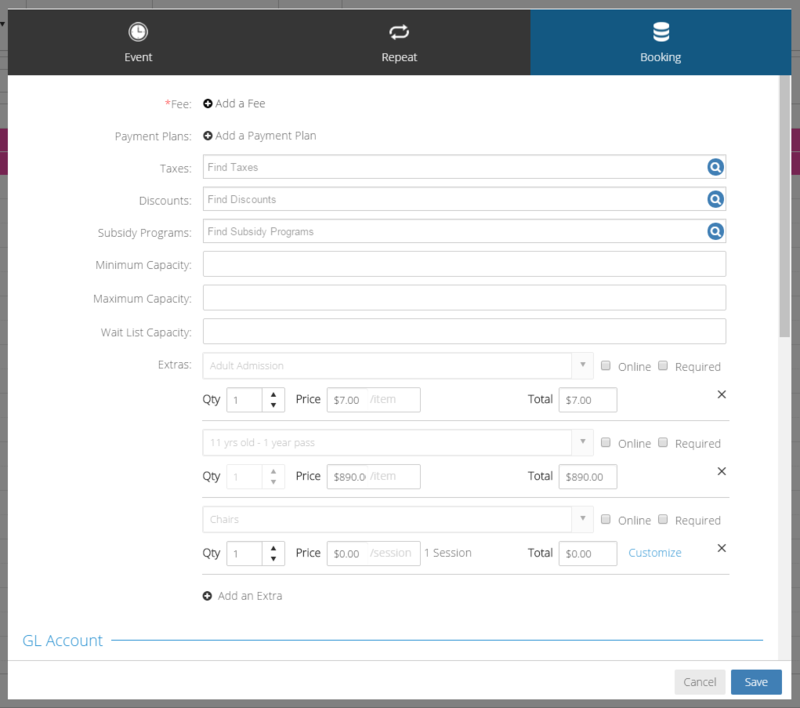 We understand just how important the Extra Fees functionality is for bookings and have made it even better. You can now charge extra fees based on hours, individual sessions or entire classes. What if your MMA class is usually an hour long but you need to charge for an extended half-hour session? Or maybe you’ve added an extra instructor to a separate beginner’s Taekwondo class for a more hands-on approach and will need to charge accordingly. 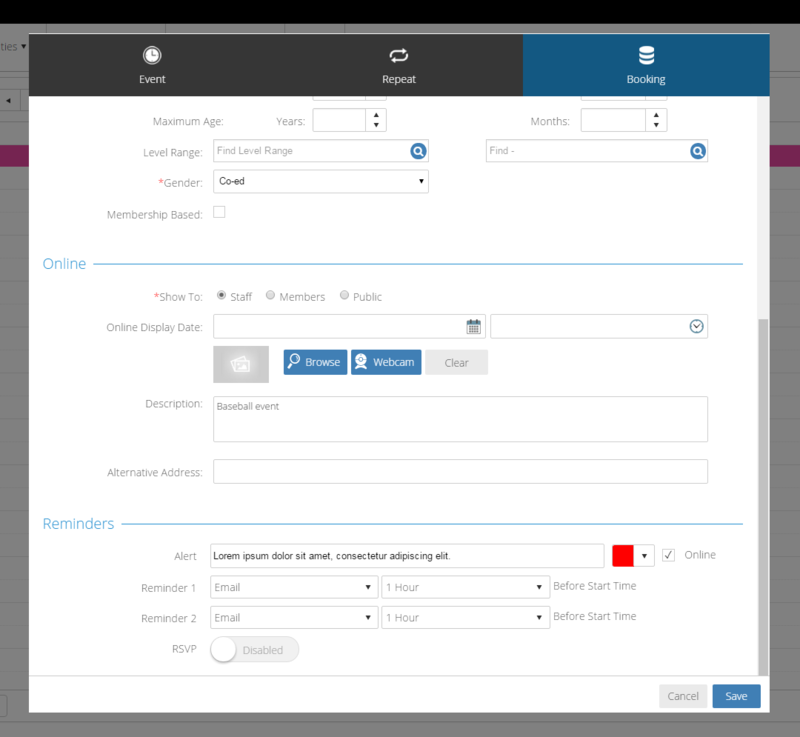 You can now create custom schedules for extra fees based on the corresponding hours equipment is used, charge a flat rate per event or session, or even charge per booking. But that’s not all – this enhanced function also lets you charge extra fees for selected bookings in the event series, as well as for the entire booking with all sessions. The design of the Extra module has been improved so your staff is fully-aware of the fee extra when they are creating the booking. Tracking events has never been so easy. 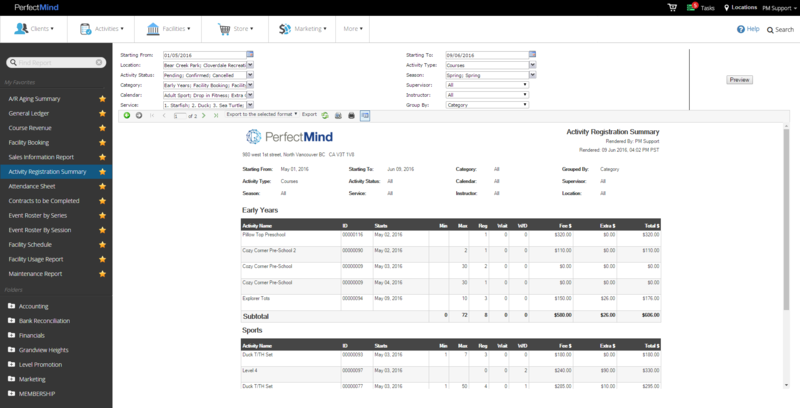 You can now run reports on any type of activity. 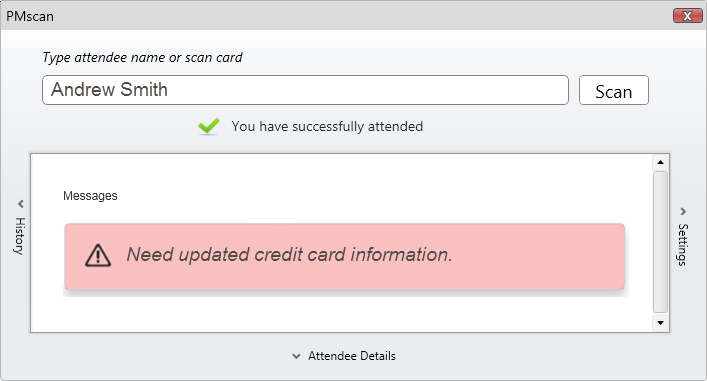 Run reports for specific events or all events within a date range, and view the number of confirmed, pending, and cancelled attendees for each of your events. Curious to know how well your new membership package or new Jiu-jitsu uniforms are selling? You can run sales reports for all activities including products, equipment, memberships, courses, appointments, and facility bookings. 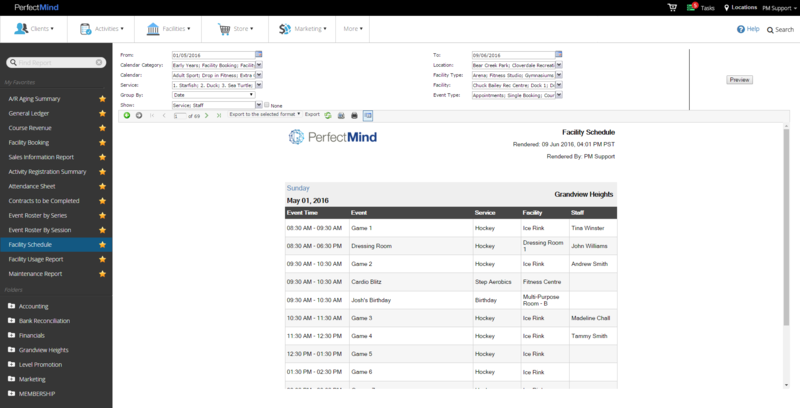 Track and analyze how well each aspect of your school is doing. If you’re running a large school, it can be hard for your students to remember where they need to be for classes, especially if you have rotating instructors. You can now print reports as door cards containing the dates, times, and instructors for each class taking place in each room. You can also use this function to print schedules for all of your instructors, ensuring everyone is at the right place, at the right time. We’ve fixed the issue you had before with remaining balances in accounts after payments were cancelled. 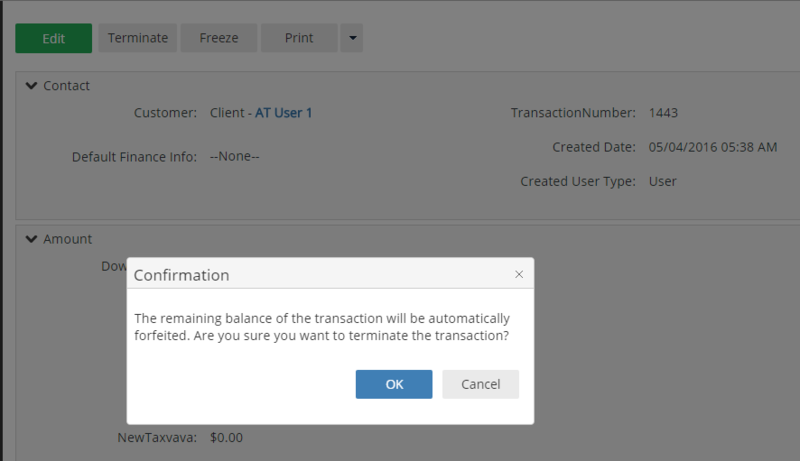 Now, when you terminate a transaction, the invoice will also automatically be forfeited, cleaning up the remaining balances in the account. An option to forfeit overdue payments is available when you terminate a transaction, meaning that you do not need to manually forfeit individual overdue invoices before terminating the transaction. Since this is automated, there’s no extra work on your part. We’ve added many new plug-in reports over the past few months. It was time to audit newly-added and older reports for consistency. Improvements have been made to the design and consistency of these reports.